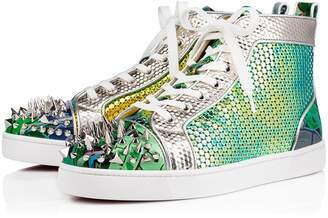 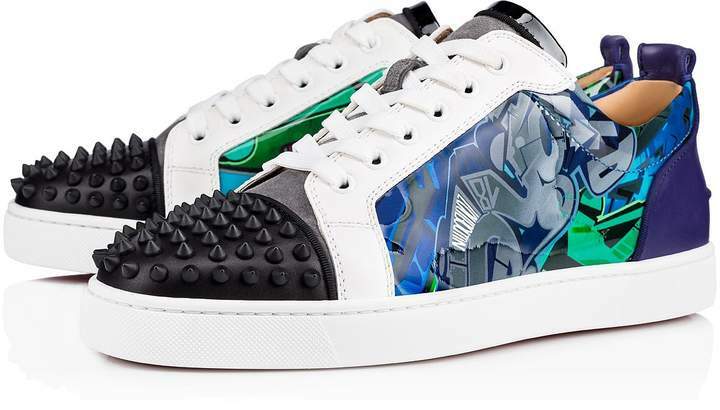 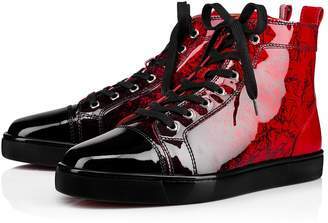 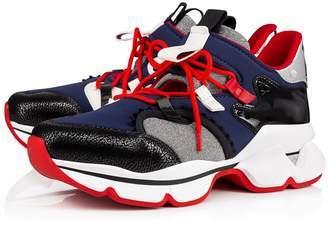 An iconic model, the sneaker Louis Junior Spikes Orlato is inspired by the creative frescoes of street art. 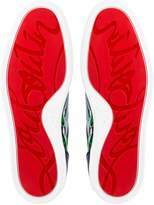 In calf leather multicolored calligraphy, it is mounted on a white rubber sole. 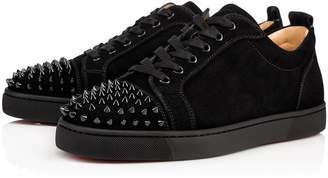 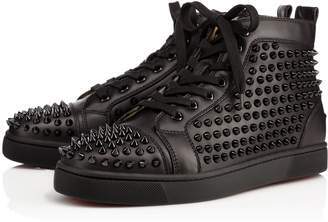 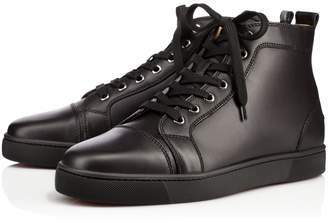 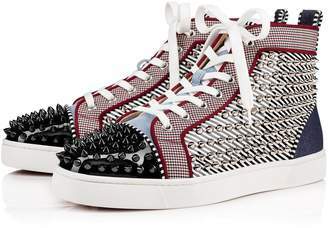 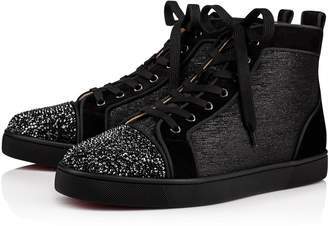 His hand-stitched black spikes reveal the know-how of the Louboutin House.